Breez Lighting by Delta offers easy-to-install bathroom lighting and bathroom ventilation solutions. Whether it’s a new construction project or to replace outdated equipment, Breez bathroom lighting is designed with long life in mind, offering low noise levels and lower power consumption. 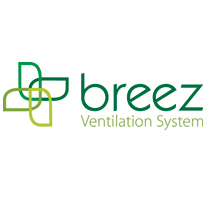 Breez lighting is integrated into ventilation units that are constructed with green technology in mind. Energy Star compliant, Breez bathroom fans and lights are equipped with LED lighting and are built to last.